In business, we typically think that our well-worn, previously depended-on antics aid our process. They can create instead, circuit breakers that interrupt the flow of energy and break our connection with our employees, our company, and ourselves. These “breaks” can result in misguided or conflicting directions. In clarity, we produce the optimal environment with energy calibrated at the right frequency directed to the right places, which facilitates a constant and vibrant flow. This flow is what drives the performance of the leader and subsequently the organization. This great “gotcha” that grabs our gut and shows up at the worst times is nondiscriminatory in that its presence can be felt in winning or losing. Even success brings fear about what will change and move us out of our well-rutted comfort. Fear shows up when we finally get that promotion we’ve been working so hard for as we worry (a byproduct of fear) how it will change life. We worry about whether we can actually do the job, or if now, under increased scrutiny, we will be more vulnerable. The list goes on and on. Whatever the instigating factor or the root cause of fear, the result is the same. It has an underbelly that churns. Some part of your energy and spirit is choppy and it creates starts and stops and inconsistencies that send mixed messages and efforts that are half efforts or at best, good enough. You fear that flying too high can bring you down and with a loud crash, but all fear is creating breakages or missed connections. This mix of feelings creates misguided direction or no direction as the pull toward multiple options or contradictory ideas fries the energy pathways. Ambivalence leaves us in a perpetual search for something and we can feel the sting of disenfranchisement and being left outside of our connection. In our frazzled energy, we agitate smooth operations by offering conflicting messages and a lack of decision making or solid recommendations. We always leave room to cover mistakes and manage risk, leaving the door ajar to abandon ship and try something else rather than going all in on one initiative. the maze of clutter, but there are opportunities missed while on a detour and often, efficiency is lost. Sometimes, you can’t find the path or create one as energy and resources are expended that could be appropriated elsewhere instead of being used merely “figuring it out.” That same energy can be redirected to bigger ideas with far better design with more promise of bringing extraordinary outcomes rather than just the temporary “yay” of finding your way. And to where, exactly? We often employ labeling when we don’t know what else to do. Labeling gives us a momentary false sense of control, thinking that if we can name it or categorize it, we can influence or perhaps even control it. This energy can lead to a fracture, causing us to completely miss something unique about what we’re not understanding. Labeling soothes by giving form to something and reassures us that we then know what to do with it or about it. Labeling makes it more real to us. Where labeling becomes a circuit breaker is where it recreates what is already familiar to us because in its very genesis, we labeled it as something already known. Tolerating ambiguity has been shown to be a part of highly functioning mental health. Being in clarity allows space where we wait for what we don’t quite understand to emerge, which keeps energy available and flowing rather than being boxed in, covered up, or mistakenly shelved through what’s already known. A loss of faith or lack of belief shuts down our access to the source. Believers are willing to trust and invest in something that is bigger and different. To do big things and make positive changes, doubt must be bypassed. Legacies aren’t built on doubt. Sometimes the act of “doing” alone can shift energy and keep doubt at arm’s length. Trust can assuage doubt. Most often, as is our core belief, people prefer to work with people, teams, and organizations that they know, like, and trust. Certainly, there is room for constant additions to the roster, but to enter those relationships or any partnership with doubt creates maladjustments and cuts off sustenance in the work. Doubt starves the life flow of creativity and expansion. Trust and belief can lift you through tough times and circumstances when you are tested. Doubt operates as a heavy, dense energy that keeps you tethered to old ways and old thinking as you drag your entire cache of outdated business along with you. In clarity, we develop the practice of strategic patience in an environment in which business practices often favor short-terms gains over long-term sustainability. Strategic patience occurs when you are thoughtful, purposeful, intentional, and favor actions that make an impact. Strategic patience also teaches you to trust, while strategically harvesting resources ready for a better time, opportunity, or the right team member who can generate a greater outcome. Strategic patience ensures that you have the reserves to stay on course toward your desired outcome, no matter how treacherous. Impatience may just take you right into the swamp where you can be eaten alive, or at least be in need of a costly rescue. Impatience creates a frenetic energy that results in unnecessary or ill-advised risk. While many hyperbolic energies are recognized to create disruption and distraction in business, boredom in its lack of inspiration or higher thought is perhaps one of the deadliest circuit breakers. To start with, it is insidious. It lazily reaches for the low-hanging fruit. 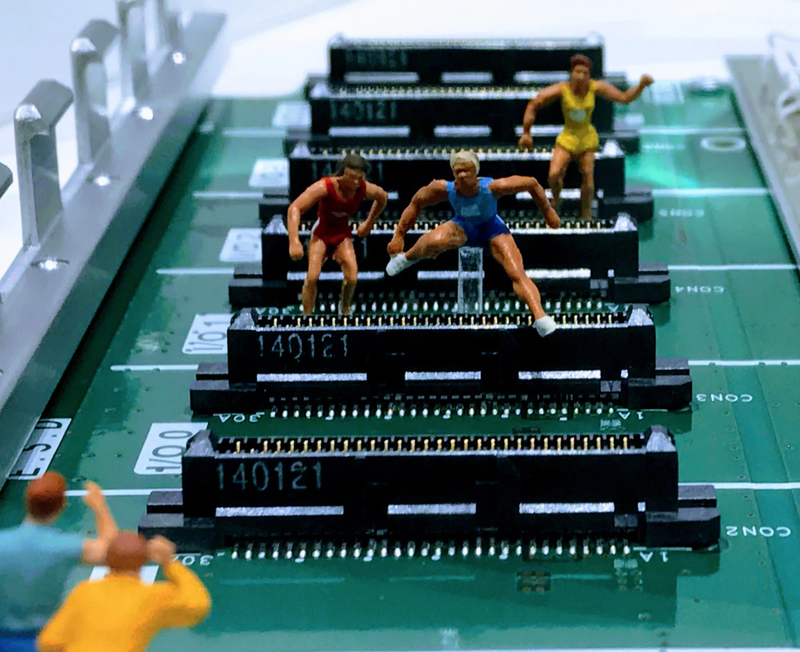 It performs at a level at which it is just good enough not to be noticed or called out and therefore, can continue to underperform. In any industry in which safety is important, it can result in accidents, injuries, or death—death of a business, a bottom line, or a life. Boredom shows itself through a lack of power and as a weak signal through an organization. It is the six feet of bridge missing that you automatically count on to be there, that can plunge you into deep waters. Power struggles are characterized by a clash of energy directed at people rather than goals or dreams. Conflicting values can certainly be the spark that ignites a power struggle, but they are more often about claiming resources and perceived territory than they are about truly hashing out the differences in values. Conflict can also be a positive because it adds a burst of energy, but that energy can overwhelm and set off a chain reaction of unsuitable and undesirable toxic particles that can shower your group with something that leaves them needing a good cleanse. Conflict can also grow out of greed or a departure that takes you too far from your root and breaks your connection to what nourishes. Leaders thrive on confidence. We absolutely need to be able to make decisions, believe in ourselves and others, and to discern the best options for our companies. Where this attribute becomes a circuit breaker is when confidence becomes arrogance, self-absorption, peacocking, and a baseless feeling of invincibility. On the practical side, it can blind you and close you off to important information or prompt you to make impulsive decisions without securing critical details and input. On the people side, it can make you obnoxious, difficult, unapproachable, and someone with whom no one wants to work. Leaders, like the great marathon runners, must deal with the real consequences of the daily mental and physical assaults that they are so uniquely expected to address. Leaders are constantly tapped to bridge worlds and problems. They are in the same moment surviving and setting up future success. While they believe that survival is the only option, they ignore the personal toll it takes on them. It is like the proverbial creative high—that high continues to build to a climax before the inevitable crash. It is simply not sustainable, which leaders will all admit, but few proactively address. The conscious decision of when to expend energy in the workplace and when to reserve it is an art, and sadly, to some, mistaken as a sign of weakness. We are trained to lead and serve on the front lines, never showing weakness. 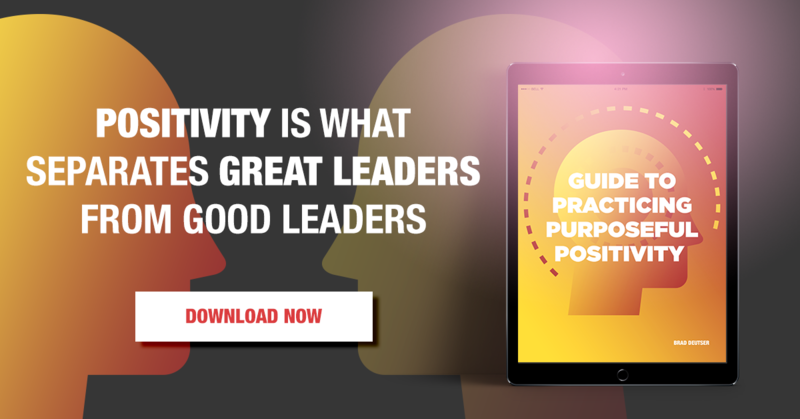 Yet, the increasing occurrences of unhealthy workplaces, mental health issues, and illnesses, including obesity, are all directly or indirectly related to the action and expectation of the leader. We live in a world in which inference is ever-present. Conversations are short. Attention spans are even shorter. We are talked to or talked around, rather than engaging in meaningful dialogue. Today’s world prizes headlines and bite-sized phrases rather than the full narrative that more aptly provides color and definition. I encounter situations every day in which I am forced to catch myself as I begin to attach my own meaning to someone else’s thoughts or words or lack of words. I fill in the blanks left by others, often, when there are no blanks to fill. Social media only takes this to a different, even more, ambiguous level. is one of the many resources we must constantly be aware of as we evaluate our healthy energy pathways. Others include financial resources, real or perceived, as we prioritize our future through a financial lens. There are times when we don’t pursue the development of an idea because we can’t afford it or don’t have the people to implement it. Leaders who strive to be in clarity understand the forces that break the necessary and natural flow of energy for them and their organizations. They recognize its impact on them and the people they lead. They also understand its direct connection to culture, which plays a defining role in driving performance and is the first entry point to being in clarity. Excerpted from Leading Clarity: The Breakthrough Strategy to Unleash PEOPLE, PROFIT, and PERFORMANCE (Wiley, April 3, 2018). Leading Clarity offers a bold proposal that changes the trajectory of your business and leadership. 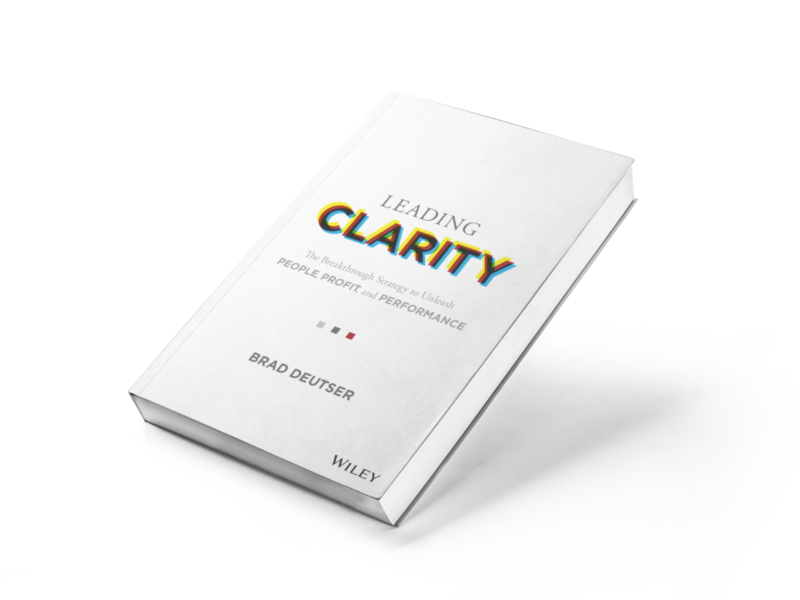 Subscribe to Brad's Leading with Clarity email series for exclusive valuable content delivered direct to your inbox! © Copyright 2019 Brad Deutser. All rights reserved.